Here's your latest update on the beers we have coming to the Black Heart this week. We’ve got a variety on draught, including a slew of IPAs, a breakfast brown ale, a madly indulgent porter, and more. 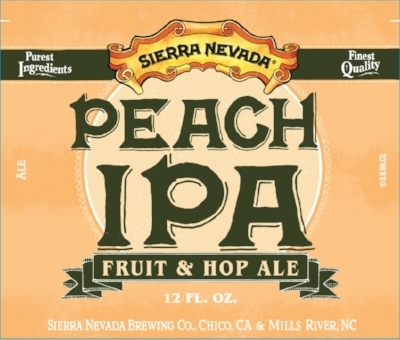 Out of our three IPAs this week, the first is Sierra Nevada’s Peach IPA. This intensely hoppy IPA has had, yes, peach added to it and it’s abundant in the aroma and flavour of the beer, along with the sweet citrusy hops. That aside, the medium-full bodied Peach IPA is well balanced by its biscuity malt character and mild bitter finish. 5.9%. Then we’ve got Hackney brewers Pressure Drop and their Cheeky session IPA. Light and tropical - it’s made with fresh orange, mango and kiwi juices supplied by Pressure Drop's neighbours Square Root London soda factory - the Cheeky IPA is medium bodied, slightly sweet, and hardly bitter. Dry tasting but still fresh, fruity and juicy, this IPA is mouthwateringly citrusy and zesty. 3.8%. Finally, from Black Heart regulars Amundsen, we have the last IPA, the Ink and Dagger. Slightly sweet and lightly bitter, this dry, medium-bodied IPA isn’t too hoppy, but its aromas and flavours of citrus and toffee are delicious. 6.5%. Next up, Manchester brewers ABC with their Juice Springsteen, a tropical pale ale. With a light, slightly earthy-bitter taste and finish, the Springsteen is fairly dry but with enough hoppy, tropical fruit notes - and a little herb in the mix - to ensure plenty of character. 4.5%. On to the darker stuff now, with Pilot and Left Hand’s collaboration brew, Transatlantic Breakfast, a ‘maple syrup pancake, coffee and lactose brown ale’. Oh boy. While the aromas/flavours of toffee, coffee, treacle, caramel, marzipan and vanilla are prominent, this one is more like drinking a coffee. It’s not as dark or sweet as it might seen, and is surprisingly light in body, with a perfectly sweet aftertaste. 7.2%. And lastly, it’s the darkest brew this week, Howling Hops’ Double Chocolate Coffee Toffee Vanilla Milk Porter. Oh yes. This Hackney-brewed porter is unsurprisingly deep and rich. There’s of course aromas/flavours of coffee and chocolate, roast malts, toffee, vanilla, but a bit of spice in there too, and the malts are bitter sweet. The light dry finish leaves the coffee and vanilla lingering, and you wanting more. 6.3%. That’s it for this week’s beers, check back next week for another update. And as ever, keep your eyes peeled for updates of beers and bands on our Instagram.